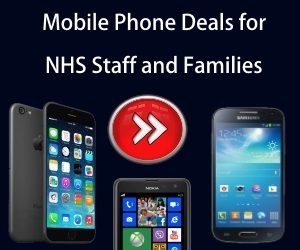 Set up in the Spring of 2015, we are a team of avid voucher and discount addicts who are more than happy to scour the internet for all the latest discount offers and voucher codes for NHS staff, their friends and family to use. With all the latest cut backs and austerity measures put in place, we thought it a great time to collate all the offers that you can use into one place. We feature only the most reputable discount codes and vouchers from only the most respected retailers on the UK high street, and rest assured we will do our best to maintain our high standards and give you only the latest and up to date money off specials for you to use. So welcome to our website, take a look around and pick up an offer or two. We want you to save money! And feel free to get in touch with us through our contact page if you have a question to ask, we will do our best to return your email within 24hrs. If you would like to ask us a question feel free to send us an email using our contact form here. The NHS Discount Offers Team.